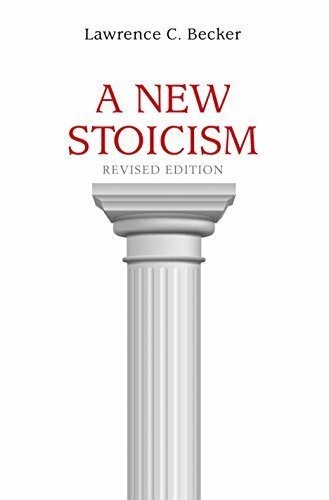 We have recently reviewed much of the first meaty section of Lawrence Becker’s A New Stoicism, as part of my ongoing commentary on this crucial book for anyone interested in how Stoic philosophy can be updated and developed for the 21st century. Here I am going to complete that section, by focusing on the last two bits of chapter 3 of the book, respectively dealing with the relationship between norms and moral training, and with the relationship between virtue and happiness. Larry tackles different sub-topics within the context of norms and moral training: values, preferences and commitments, projects, standards, and the triad of social roles, conventions and institutions. Let’s take a look in turn. In terms of values, Becker asks us to consider different meanings of the apparently straightforward phrase “X is good.” As (moral) agents we may mean that we approve of X, or like it, or desire it as an end. In other instances, what we mean is that X is instrumental in achieving some other goal that we like or desire. In this second case, it’s perfectly possible that we may like the end we are aiming at (a healthier body, say) but loathe the necessary means to get there (a lot of time spent at the gym). There are more meanings of “X is good” that we need to distinguish. For instance, when we point to a good exemplar of something (this is a good Chianti), or when we say that something is appropriate given some specific circumstances (it is good to take your hat off when you enter a Church, even if you don’t believe, out of respect), or when something is regarded as valuable (it is good to be healthy), or finally when X is good-for-something (a hammer is good for nailing things). In fact, one could take points (a)-(d) as a working operation of wisdom. In other words, a Stoic attempts — of course within the limits of what is humanly possible — to use reason to overcome akrasia (i.e., to do things we genuinely recognize as good for us, even though they may not be pleasurable in themselves) and to align her emotional responses with the sort of fundamental value that she claim to hold (or, failing that, to force herself to admit that she do not, in fact, hold such values). Next, to have projects is part and parcel of what it means to be a conscious agent. But our projects may be in partial conflict with each other, or some projects may entail other ones as sub-components. It is therefore an objective of Stoic logic to help the agent navigate the conflicts and entailments presented by her own projects in the best way possible. This would be one area of application of phronesis, the virtue of prudence, or practical wisdom. Larry then briefly talks about standards that agents apply to their own conduct, while pursuing their projects. Standards of, for instance, efficiency, difficulty, and even style, may determine which projects the agent decides to tackle and how. And we are reminded that it is an axiom of Stoic ethics (in the reformulated version presented in A New Stoicism) that an agent should (logically) not get involved in projects that are impossible or clearly beyond the agent’s capability (the aptly termed “axiom of futility,” which we will revisit soon). Let me spend a minute on this point, since it was often misunderstood by readers of the previous edition of the book. The obvious objection is that some projects may seem impossible, but they are actually doable, and if the agent gives up before even attempting them then Stoics will achieve far less than their potential. Obviously. But that sort of underachievement would be un-Stoic to begin with. Stoics don’t give up a fight on the ground that it may not succeed. And sometimes even engage in a fight they know they are going to lose, if there are reasons other than success that justify it (e.g., setting an example for others). What Larry is talking about here is the rather commonsensical thing that we ought — both logically and ethically — to carefully consider our options and direct our efforts away from Pindaric flights. For instance, I may desire, at age 53 and with an average body, to start a professional career as a soccer player. That would be foolish (i.e., illogical) and it would get in the way of other projects that I ought to do, negatively affecting people I care for and love (i.e., it would be unethical). The last part of chapter 3 of A New Stoicism deals with virtue and happiness. As useful background, keep in mind that Larry will argue in the chapter on virtue (#6) that ideal Stoic agency, virtue, and happiness are inseparably linked in Stoic ethical theory. Ideal agency is necessary and sufficient for Stoic Virtue, which is in turn necessary and sufficient for Stoic happiness. Interestingly, Larry stresses that keeping in mind this whole-life frame of reference is both congruent with the general eudaimonic approach, and yet distinguishes Stoicism from, as he puts it, both Epicureanism and its “modern welfarist offshoots,” by which I take it he means utilitarianism and other kinds of consequentialism. (John Stuart Mill, the father of the modern version of utilitarianism, was heavily influenced by Epicureanism.) The reason for this is because, for a Stoic (but not an Epicurean or a utilitarian), how well her own life is going is only partly, and sometimes only to a small extent, assessed by way of her internal, subjective experience. Indeed, the Stoic will always seek to compare her understanding of her own eudaimonia with that of others, particularly of her role models and “friends of virtue,” as Aristotle calls them — those people who will let you know whether you are deviating from a virtuous path, and will help you stick to it. One doesn’t pursue eudaimonia by oneself; it is, in a deep sense, a communitarian project. One final note: at the end of chapter 3 we find the first of the book’s Commentary sections, in which ancient texts are quoted, sometimes at length, and the secondary literature on relevant points is mentioned. Those who want to ratchet things up to the next level will want to wade deeper into these sections. This entry was posted in Larry Becker, Modern Stoicism and tagged A New Stoicism on October 3, 2017 by Massimo. Last time we have briefly examined the reasons why Larry Becker has just published the second edition of his A New Stoicism, which attempts to carry out an ambitious thought experiment: what would have happened if Stoicism had not gotten interrupted, so to speak, in the third century of the modern era, and its practitioners had instead engaged with the philosophy and science of the Middle Ages, the Renaissance, the Enlightenment, and finally modernity? The second entry in this series tackles chapters 1, 2 and 3 of the book, grouped by Becker under the general heading of “the way things stand.” (I originally meant to cover this material in one post, but it has become clear that I will need two.) Chapter 1 is very brief, and it offers a rather bleak, and yet realistic, view of the history of Stoicism — as well as philosophy as a whole — after the third century. 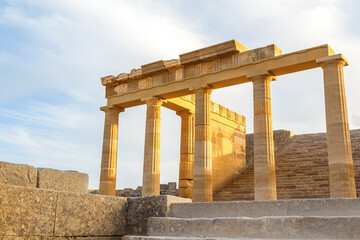 It begins with the assertion that Stoic ethics was “pillaged” and effaced by imperial Christianity, meaning that the Christians, who took over the Roman Empire, also picked and chose their favorite bits of Stoic philosophy (the Logos, the virtues, the concept of duty), and absorbed it into their own, very different, ethical framework. One could argue, however, that this pillaging is precisely what allowed Stoicism to remain a live presence for many centuries, unlike, say, its former rival, Epicureanism — which the Christians rejected wholesale because of its unfriendly metaphysics based on atoms swirling in the void. After all, Christian thinkers from Paul to Augustine to Thomas Aquinas engaged with Stoic thought, a process that eventually led to a brief resurgence of the Greco-Roman philosophy during the Renaissance, the so-called Neo-Stoicism of Justus Lipsius and Michel De Montaigne. Still, Becker is right that during the Middle Ages Christianity came to use Stoic precepts as spiritual exercises and “remedies,” while at the same time abandoning or radically transforming core concepts of the philosophy. It is, in fact, the case that Christian monks used Epictetus’ Enchiridion as a training manual for spiritual exercises, though they changed every occurrence of “Socrates” to “Jesus.” But it is also the case that Thomas Aquinas articulated his famous theory of the seven virtues by subordinating the Stoic ones (prudence, courage, justice, and temperance) to the specifically Christian ones of hope, faith, and charity. Becker then suggests that Stoics have gradually abandoned their original metaphysics, in the face of modern mechanistic science, thus decoupling their philosophy from theology. As we shall see later on, he does not think this was a bad move, but rather an incomplete one: if the universe is not a living organism then one needs a new account of the Logos, and if Providence is not the result of the activities of that organism, then one needs a new account of Fate and the web of cause-effect. We then come to the rise of Romanticism, which resulted in the rejection of even Stoic techniques, let alone the broader philosophy, on the ground that some of what the Stoics regard as destructive emotions ought to be embraced, rather than rejected. More importantly, Becker is implicitly critical of David Hume’s fact-value distinction (which is, indeed, rejected by a naturalistic ethics like the Stoic one), and thinks it problematic that both modern social science and philosophy bought into it. The Stoics thought that social science is integral to the study of ethics, not a completely distinct field. After this rather dark view of things, chapter 2 sets out to establish a new agenda for Stoic ethics. This too is a rather brief chapter, in which Becker imagines a book that hasn’t been written yet, one in which the old Stoic teleology is replaced by the idea that “living according to nature” is reinterpreted as meaning living according to the dictates of practical reason, all things considered. That book would also argue that such normative propositions cannot be constructed a priori (as in, say, Kant), but rather depend on empirical knowledge of the natural world at large, and of human nature more specifically. That same hypothetical book would then describe a practical philosophical regime aimed at building character, a regime that emphasizes control over one’s mental states in order to overcome whatever obstacles to living well one may encounter in the course of her life. The book in question would also argue that virtue is always one and the same thing: conformity to practical reason and wisdom, thus recovering, by a different route, the ancient Stoic concept of the unity of the virtues. That imaginary book is not the one that Becker has actually written, he says (though methinks he has come pretty darn close! ), but A New Stoicism certainly represents of very good outline of that more complex endeavor, an endeavor that begins with chapter 3, a broadly declarative survey of the possibilities open to modern Stoicism. It is this survey that represents the meat of the first section of the book, and to which I now turn. It begins by admitting that “our” critics, as Larry charmingly (in my mind) puts it, think of Stoic ethical doctrine as a mix of two types of components: on the one hand, a number of notions that are sensible, but also common to other Hellenistic philosophies, and are thus not distinctively Stoic; on the other hand, some notions that are distinctively Stoic but are untenable. The latter include the ideas that the only good is virtue, that virtue does not admit of degrees, and that nonetheless one can make progress towards it. Boldly, Becker warns his readers that he will defend a modern version of all these “paradoxa Stoicorum,” as Cicero called them. In order to prepare the ground for his project, Larry tackles the famous relationship among the three fields: physics, logic, and ethics. He admits that modern science no longer includes any notion of teleology, and yet that we can still recover a version of the quintessentially Stoic idea that an understanding of the world is pertinent to the study of ethics. Contra much modern philosophy, that is, ethics is not an autonomous enterprise for the Stoic. Other characteristics of ethics are that it is normative, since it is in the business of saying what people ought to do, not just of describing what they actually do; it attempts to construct an account of normativity itself (i.e., why ought people do certain things? ); and, practically speaking, is mostly in the business of organizing facts (about the world and humanity) and sifting them through a logical sieve. I find this general account of the nature of ethics incredibly compelling, and much better — especially in terms of applicability — than pretty much anything else I’ve seen from professional moral philosophers from Kant on. The next bit is just as provocative, and yet, again, I think Larry is right on target. He characterizes modern ethics as narrowly concerned with a special domain, or defined by a special point of view or set of commitments, generally referred to as “moral.” Stoic ethics, by contrast, is a much broader enterprise, attempting to provide “overriding and final” judgments about all human actions. These judgments are overriding and final because they are arrived at all things considered, taking into account self-interest, altruism, prudence (in the sense of practical wisdom, or phronesis), and even etiquette. Becker suggests that the Stoic approach (which in this respect is typical of all “Socratic” philosophies) is superior because it directly addresses the question that no modern meta-ethicist has been able to solve: if ethics is concerned only with the sub-set of moral decisions, why should people give priority to that particular criterion whenever it contrasts with other relevant criteria, such as self-interest? Stoic “ethics,” instead, includes considerations of self-interest, and others, from the get go, since it is about judgments arrived at all things considered. Larry then returns to something that is going to be controversial among modern Stoics: the issue of teleology. I have to state at the onset that my own position is essentially aligned with his, and yet that I welcome an ecumenical version of Stoicism where alternative (e.g., pantheistic, or even theistic) metaphysics are possible. I do not see a contradiction between welcoming a plurality of positions on a given topic and yet at the same time personally thinking that one of them is better than the others (presumably, so do my fellow Stoics who think of themselves as pantheists or theists, with respect to those doctrines). The idea is that, so far as we can tell, there is no reason to think that our galaxy, planet or ourselves are special in any way. The universe is indifferent toward us and takes no special notice of or concern for our affairs. Next, reminds us Becker, Stoic ethics is naturalistic, meaning that it constructs normative propositions, all things considered, from facts about human values, preferences, projects, commitments, and even conventions. This is important, because it amounts to a rejection of absolute moral truths, while at the same time not embracing relativism. The idea of mind independent moral truths is rejected as incoherent (akin to, say, mathematical Platonism), since ethics is the study of human prescriptive actions. Conversely, relativism is also a no starter because there are objective facts about human nature and the human condition that constrain our ethical choices. How, then, do the biological and social sciences contribute to the Stoic ethical project? In three ways: (i) they offer facts about human behavior that can be used to construct ethical arguments; (ii) they offer theories, for instance in evolutionary biology, that help us make sense of the biological nature of human behavior and the degree of its plasticity in response to varying circumstances; and (iii) they provide empirically based analysis of human rationality and its limits. The second part of this post will address the last two sections of chapter 3 of A New Stoicism: norms and moral training (including values, preferences, commitments, projects, standards, social roles, conventions, and institutions), as well as the relationship between virtue and happiness. This entry was posted in Larry Becker, Modern Stoicism and tagged A New Stoicism on September 29, 2017 by Massimo. With this post I am going to begin an in-depth coverage of the second edition of Larry Becker’s fundamental book, A New Stoicism, without question the most serious attempt to “update” Stoicism from the end of its first half-millennium run, in the second century of the modern era. Larry has promised to chime in during our discussions, so fasten your seat belts, and hang on for a fascinating ride! Larry explains at the beginning of his new book that he implemented five substantial changes with respect to the old edition. Even if you have not read the latter, it is going to be instructive to briefly discuss what Becker has done, as it will represent a conceptual map of sorts to help us keep our bearings in the posts to come. I. Larry reformulated the relationship among Stoic agency, virtue, and the concept of eudaimonia (or flourishing). The problem this is meant to address is an apparent inconsistency in Stoic thought. For the Stoics, virtue is an end in itself, the chief good of a human life (which they derive from Socrates’ discussion in the Euthydemus). But Stoicism is also considered a eudaimonic philosophy, in the Socratic tradition. How can this be, since eudaimonia is usually defined as the ultimate goal for this class of philosophies? How can the chief good be both a virtuous life and a eudaimonic one? Larry proposes a “developmental” account of Stoic ethics (a revised version of the so-called cradle argument, which one finds in Cicero’s De Finibus, book II) from which it will turn out that Stoic agency, Stoic virtue, and eudaimonia are all emerging from Stoic practice, being, in a sense, inextricably linked to each other. As a bonus, Becker will also provide an explanation of the famous “paradoxical” Stoic doctrine that virtue is an all or nothing thing, and yet one can make progress toward virtue (see the drowning man metaphor). After all, they coined the term “prokopton” precisely to indicate one who makes progress in the study and practice of Stoicism. II. Specifically Stoic moral training and education have to be part of the above mentioned developmental story. I will not make additional comments about this here, we will get to it in due time. III. An entirely new treatment of the topic of suicide, which was omitted in the first edition. Again, no further comment needed at the moment, except that Larry will show that the moral possibility of suicide (under strict conditions) is, in fact, part and parcel of Stoic philosophy, as I’ve argued here while discussing Epictetus’ so-called open door policy. IV. A major update in the discussion of the available literature on Stoicism, both ancient and modern, a literature that has grown substantially since the 1998 edition of A New Stoicism. No further comment needed here. 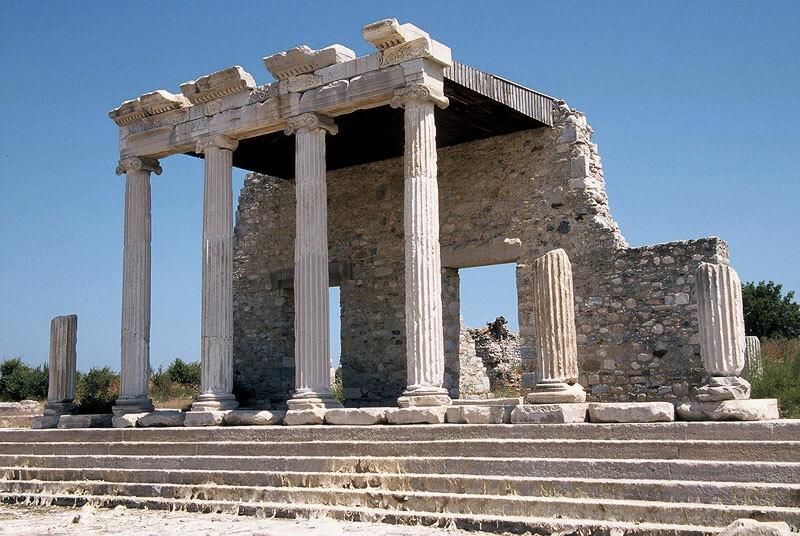 V. A postscript with substantial new material on the topics of virtue ethics, how Stoicism relates to politics and social justice, and Stoicism as a guide to modern living. This last change is arguably the most impactful for readers interested in the practice of Stoicism, and the fact that it is relegated to a postscript should not deceive the reader. It is there because Larry’s main interest is theoretical and grounded in his academic approach. His book is not a practical guide. But the ancient Stoics would have told you that if you do not have a good grasp of the theory, the practice becomes an empty bag of tricks, which is why they included the study of the fields of physics and logic in their curriculum, as preparatory to the crucial bit, the ethics. So the one sketched above is the map of the territory ahead. Next up: how and why to update Stoicism to the 21st century. This entry was posted in Larry Becker, Modern Stoicism and tagged A New Stoicism on September 20, 2017 by Massimo.